How a permitted venue makes all the difference. If you’re an adventurous bride or groom that’s looking for a unique venue, then you may want to pay close attention to this post because I’m about to share with you some little known information that could literally make or break your big day. This one detail can ruin your wedding. As the popularity of farm and barn weddings has exploded across the country, couples are choosing to come to Kentucky to take advantage of all the Bluegrass state has to offer. From quaint farm settings, to sprawling ornate horse barns to spectacular natural scenery, Kentucky has a bit of everything to suit rustic tastes to elegant soirees and everything in between. 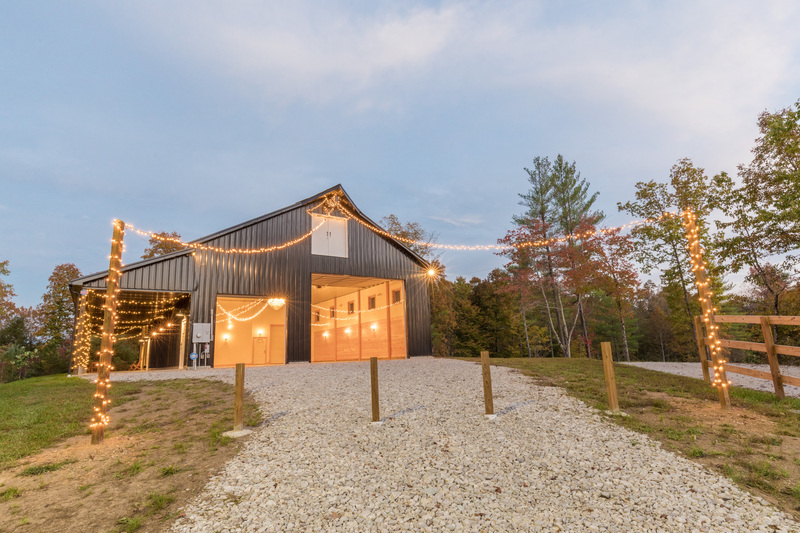 The possibilities are endless when you consider the multitude of barn venues, farms, vineyards and woodland locations, but before you book, I’ll fill you in on a little secret that will save you tons of stress. At Hemlock Springs, doing things the right way is very important to us. Hiring competent contractors, ensuring guests’ safety and comfort and not cutting any corners has been at the forefront of our venue project. We have been in the process of obtaining all the proper permissions, permits and certificates for quite sometime now, (much longer than we were initially advised of) and let me tell you, the process has been slow and painful…but not all venues go to this trouble or expense. There are currently venues that are operating without proper permitting or certifications and that puts YOUR wedding day in grave jeopardy. Some venues across the country have been shut down just days before an unsuspecting couple was to be married; leaving them stranded on one of the most memorable days of their lives. Other venues that have been shut down were unable to refund their couples’ payments creating an even worse situation. Unfortunately, this is beginning to happen more and more often. To be fair, many venue owners are unaware that permits and certifications are required, but that still won’t stop officials from shutting the venue down and potentially ruining your day. So, how can you protect yourself? Make sure that you’re asking these specific questions of your venue. Are you a permitted venue? Have you passed all final inspections? These questions aren’t romantic by any means, and they may seem strange to ask, but they can potentially save you from having your wedding cancelled at the last minute. ← You Just Said ‘Yes’, Now What? I simply want to say I am all new to weblog and actually liked your blog. Likely I’m likely to bookmark your blog . You definitely come with terrific articles. Appreciate it for sharing your blog. I simply want to mention I am very new to weblog and truly enjoyed your web blog. Almost certainly I’m planning to bookmark your website . You absolutely have wonderful articles and reviews. Thanks a bunch for revealing your blog.